Every year the NCBC hosts an auction event with a meal on the Friday night before the cookoff. This auction benefits local non profits. 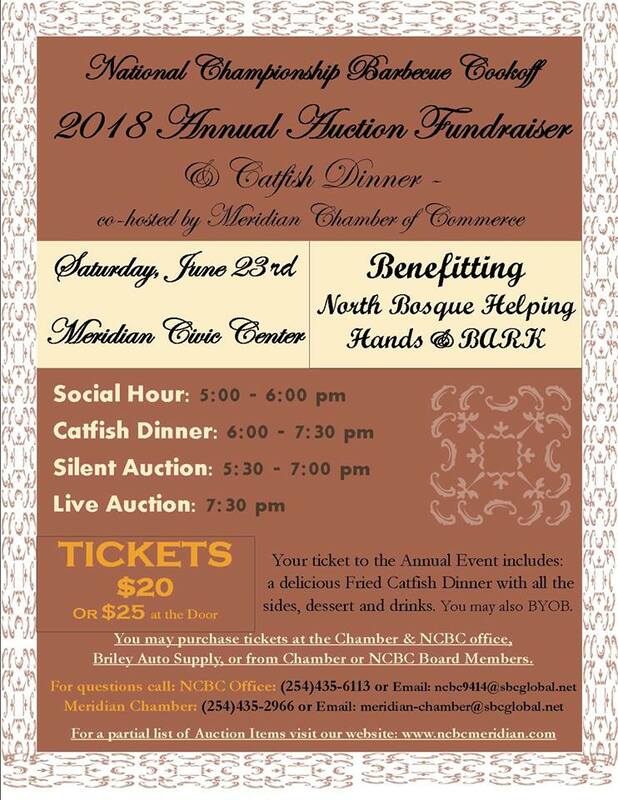 In the past this auction brought in over $12,000 for local non profits and scholarships and has benefited the North Bosque Helping hands, Meridian Youth Baseball Association, North Bosque Youth Support Group and Camp John Mark among others.